Milan PopOut Map: pop-up Milan city map - folded pocket size travel map with transit map included Contents include maps of: Central Milan Greater Milan Metro The Lakes Milan Province Explore Milan with the help of this genuinely pocket-sized, pop-up map. 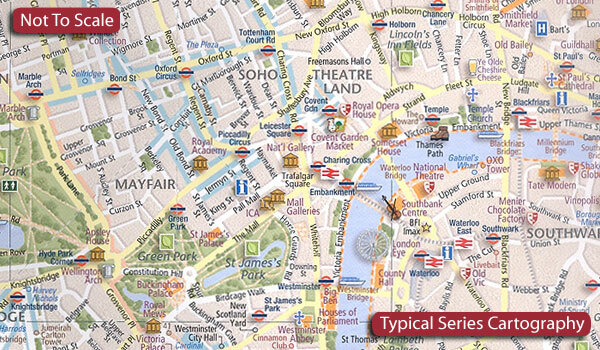 Small in size, yet big on detail, this compact, dependable city map will ensure you don't miss a thing. * Includes two pop-up maps covering central and greater Milan * Additional maps covering the Lakes, Milan Province and the Metro are also included * Handy, self-folding tourist map is small enough to fit in your pocket yet offers extensive coverage of the city in an easy-to-use format * Thorough street index is also featured and cross-referenced to the map so you can easily find your destination * Hotels, restaurants, stores and attractions are all included This fully revised and updated edition Milan PopOut Map includes the new Expo site and the new Metro Line.